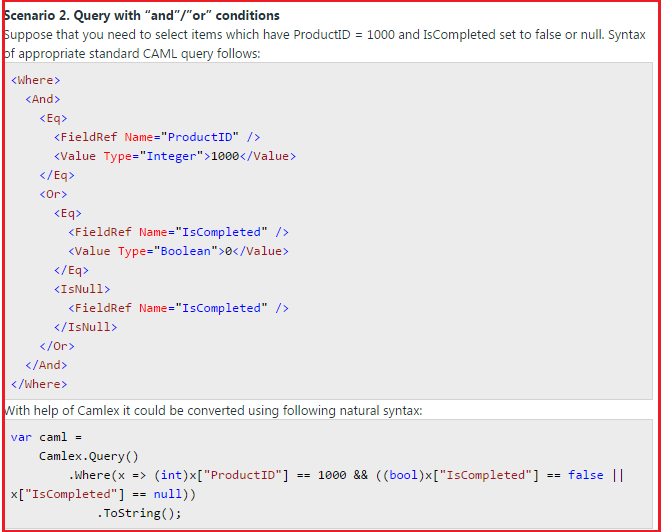 I like this tool and would like to share with you, this tool help you create the CAML queries via using this Camlex.NET DLL. You can download this DLL and use in your project. You can also generate the code just put the CAML http://camlex-online.org/ URL and generate the code. In this post I am going to share with you some of the useful GitHub codes repository that will help you to build your own application/App in SharePoint 2013. Here are the List of GitHub Repositories SharePoint Patterns and Practices: This is the Community Source Code location for the SharePoint and Office Patterns and Practices (PnP). We will be revising and enhancing the samples here and they should be considered just that, samples. We are working with the MSDN Content Publishing team to take the most impactful and useful samples that complete common customer scenarios and publishing them as "Solution Packs" of content as well as "Sample Packs" of sample code that has been reviewed by the Office 365 team and blessed as a recommended way to approach these scenarios. “Scroll to Top Search Result Page” issue encounter while working with one of our client. Client has customized 2013 search center with branding (that includes all custom master page and layout pages) and because of this customization the scroll to top “OOB” functionality stop working. I have search a lot but only find one blog related to this issue, I need to must say thanks to this post help me to investigate on it. As per this blog you can enable this two ways.